To really solidify your website’s presence online, you’ll need to focus on three main on-page new ideas for SEO 2019. These are user experience, valuable content, and bot-ready metadata. User experience is the most critical of all SEO practices. To enhance the user experience, make sure the copy on your website answers all of the questions visitors may have about your brand or product. Define a clear call-to-action (CTA) to encourage visitors to purchase a product or reach out. Always make sure readers can share what they’ve found by including social network sharing buttons. I also recommended getting educated about UX and information architecture’s best practices. Content findability and website layout play an important role and it affects bounce rate. When users click on a search result and they land in a webpage that is not relevant then, within seconds users. click the back button. This action sends a signal to Google and the site will not provide the answer, service or product that match their queries. High bounce rate affects ranking so make sure you have put some work in UX. In order to create valuable content, you’ll want to optimize copy and blog posts with defined headers, relevant information, and consider adding summaries. It’s also a good idea to add interesting media besides text, such as video or images. Make sure your pages load quickly so readers don’t get bored of waiting for your content to appear. Make sure your website is ready for Google’s SEO 2019 bot crawl. Update the metadata for your site by including relevant scheme detailing what each page of your website is about. This copy will appear on Google’s search engine result pages, also known as, SERPs, so you’ll want to be specific while also catching the eye and encouraging readers to click through. Link to other pages on your site by including hyperlinks in the text, further encouraging readers to click through. Schema is a series of codes that tells Google what your site is and what each part of it should be defined as. This list of schema can help you decide what schema to add and what to title each of them in order for Google’s bots to correctly identify your brand. 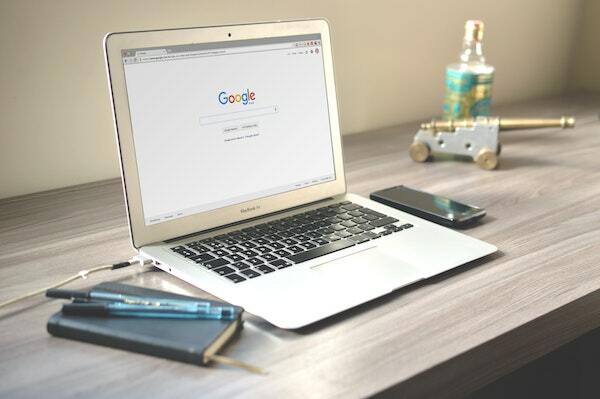 In addition, you can ensure that your website is up to Google’s standards by checking their SEO guide 2019 blog posts. Mobile-first is a huge SEO 2019 factor for ranking. More people today search with a mobile device than ever before, and Google has rolled out a new ranking system to help mobile-optimized sites rank higher. Make sure your website is mobile-friendly and works on multiple different devices. A fresh design for your mobile presence should still feel like your brand style and should still carry all of the same pages. However, good content alone won’t cut it. To keep people on your website, you’ll want the fastest loading speeds you can get so that your content appears quickly. Page Speed insights will help you determine if your website is loading quickly enough for today’s readership; if your website loading time is more than 3 seconds you lose a viewer. Compress images and make sure that your code does not have any unnecessary comments or unused ends. Establish your brand voice and name and turn it into a ranking tool. Write great content as a leader of your industry or niche. Becoming an authority figure in your area will let readers know that you are a knowledgeable and reputable source of information. Share that information on external sites like social media, where larger audiences have the potential to see it. Encourage other brands and big names in the industry to mention you. By earning backlinks, or links on other websites that lead back to yours, crawler bots will notice your authority. You can even reach out to influencers on social media who work in your niche, which may encourage them to speak out on your behalf to their audience. These SEO tips 2019 will help your website rank higher in search results. These are not difficult to implement and will pay off. By creating a SEO checklist 2019, as you check each box, you’ll be able to strengthen your site for the new year.